If you have old metal fillings, it may be time to consider replacing them with a more natural-looking alternative. White dental fillings are able to blend seamlessly into your smile, allowing them to both protect and beautify the affected tooth. However, the appearance of metal fillings is not the only reason to consider having them replaced. In fact, it’s not even one of the most compelling. If you have metal amalgams you would like to have replaced, please contact Gary G. Fong, DDS online or by calling 510-582-8727 today to schedule an appointment at our Hayward office. In order for a metal filling to be placed into a cavity, a larger hole must first be drilled. This allows the amalgam to be packed into the cavity where it can expand to completely fill the space. Metal fillings do not bond to the surface of the tooth but instead rely on expansion to prevent bacteria from entering the cavity. Unfortunately, this expansion never really stops, nor does the contraction that occurs when temperatures change in the mouth. Over time, this can allow metal fillings to come loose and fall out or to break teeth from the inside. As if breaking teeth alone wasn’t problem enough, some of the metals used in amalgams have been shown to be toxic – so toxic that it is recommended amalgams not be placed in pregnant women or children. Hayward family dentist Dr. Gary Fong believes this precaution should be extended to all of our patients. White fillings are nontoxic and safe for placement in men, women, and children alike. What’s more, tooth colored fillings are bonded to the surface of the teeth, allowing them to keep bacteria out and prevent further decay by fully sealing the cavity. White fillings do not expand or contract as temperatures change in the mouth and they look exactly like natural tooth enamel – allowing them to enhance both the strength and appearance of the teeth they protect. During your next visit to our East Bay area office, Dr. Fong would be happy to discuss the benefits of replacing metal fillings and help you determine if this service is a good option for you. To schedule your next appointment with our Hayward family dentist, please call 510-582-8727 today. 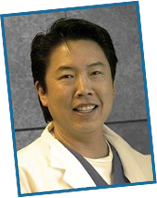 Dr. Fong welcome patients of all ages living in the San Leonardo and Castro Valley areas of California.